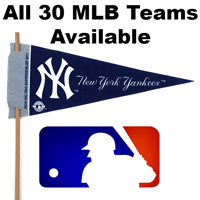 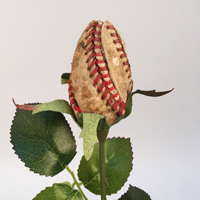 Make your Christmas gifts for the baseball fan in your life a real home run by including the unique and long-lasting value of Baseball Christmas Gifts from Sports Roses. 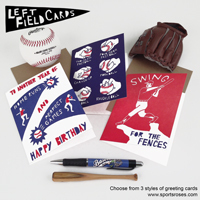 These Baseball Christmas Gifts are made from genuine baseball leather and add an Americana charm to every gift. 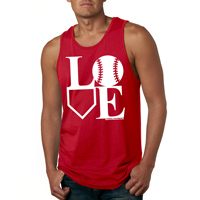 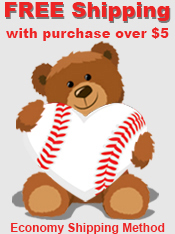 Whether you are shopping for a baseball fan, mom, player or coach our Baseball Christmas Gifts will knock it out of the park! 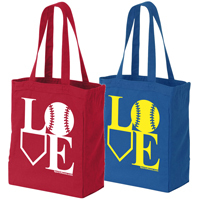 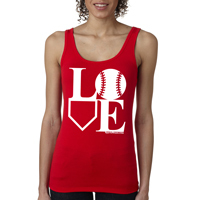 A durable, 100% cotton, heavyweight, canvas tote bag that express your LOVE for the game! 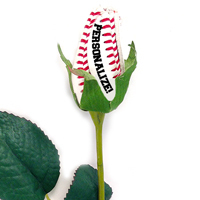 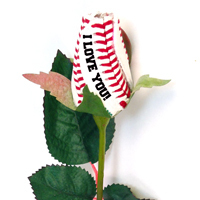 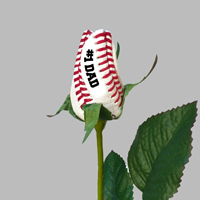 Special Edition Baseball Rose for your #1 Dad - Personalize It! 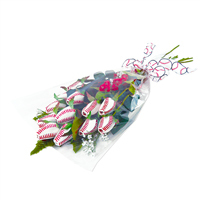 Complement a Baseball Rose gift with a creative and colorful baseball-themed greeting card. 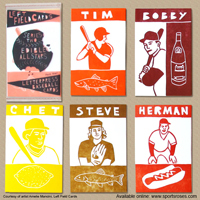 Each card is handmade with a letterpress.